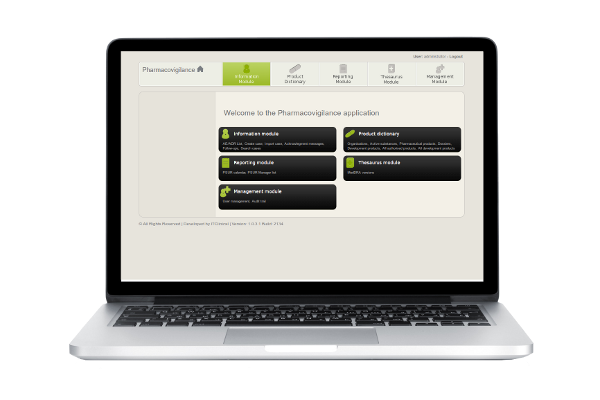 The pharmacovigilance software is an integrated system that allows the centralization of the major pharmacovigilance aspects, such as Adverse Reactions from post-marketing products and clinical trials, Periodic Safety Update Reports, Licensing Agreements and Medicinal Products database. The pharmacovigilance system is comprised of 5 modules. The modularization allows a high level of customization, giving you complete freedom of choice over which modules should be implemented based on your organization's needs. The information module is the central unit of the pharmacovigilance system. It allows users to enter and manage suspected adverse event cases (AE/ADRs), browse and search existing cases. The Adverse Event information recorded complies with ICH's E2B, thus providing seamless communication with international regulators' systems, such as EudraVigilance. The module for your organisation to centralize PSUR management activities, from registration and management of upcoming PSUR submissions to generation of PSUR templates. The PSUR Calendar is a view of upcoming PSURS. It allows users to understand which PSURS are in need of preparation and delivery on a month-to-month or year-to-year basis. PSUR Manager, the centre of PSUR management, includes historic information about a product's PSURs and scheduling of new PSURs. PSURs are automatically loaded with the relevant AE/ADRs and the PSUR section templates are created and exported automatically to streamline the PSURs writing activities! 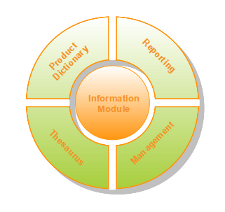 The Product Dictionary Module supports the Information and Reporting modules. Gathering the necessary information about the products for purposes of notification of an Adverse Reactions, the organisation can centralize the information of its Development and authorized Products. Part of the standard for reporting adverse events is the MedDRA® thesaurus for classification of adverse events. 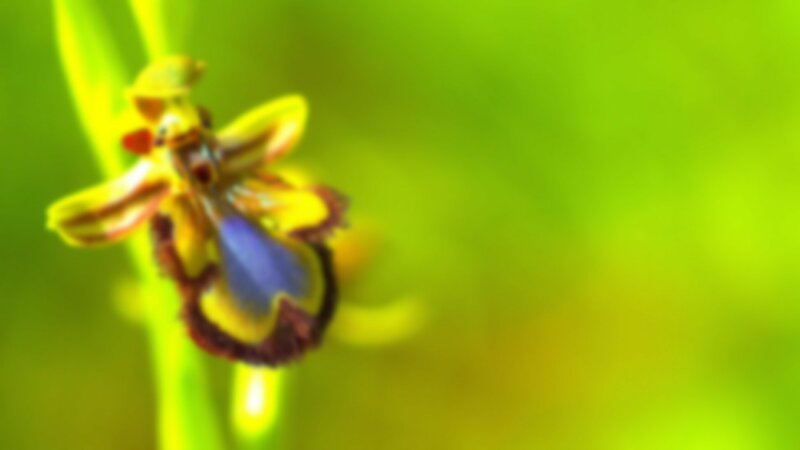 The thesaurus module aims at integrating this system of classification for seamless compatibility with EudraVigilance. Dictionaries are also categorized by version, so that new versions of MedDRA® do not compromise the quality of the data already in the system. By complying with regulatory requirements for electronic systems the Pharmacovigilance replaces paper based records. The management module allows users with sufficient privileges to perform administration tasks.